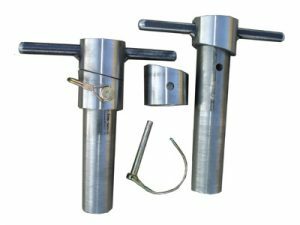 Ideal for forming lifting pin holes and step pin holes. Pins include collars and locking pins. We make CUSTOM Designs and Sizes for ANY and ALL Applications.